The new Marvel TV show "Cloak & Dagger" has become the best series launch for Freeform in two years. The numbers are in. 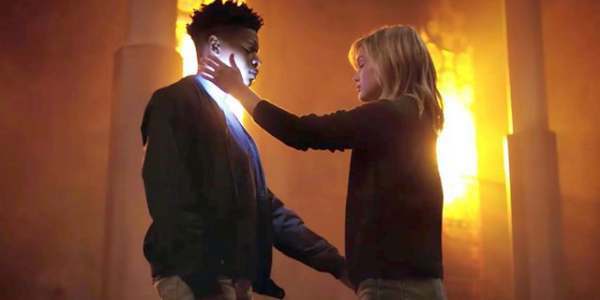 According to Deadline the teen-superhero drama "Marvel's Cloak & Dagger" had a huge premiere last week with 1.64 million total viewers in Live+3. It's Freeform's best series launch in two years. It's also Freeform's most-watched drama show since the "Pretty Little Liars" finale nearly a year ago. The show starring Olivia Holt and Aubrey Joseph also had the biggest digital opening ever for the network with 716,000 viewers. In total, the premiere pulled in 7.3 million views across linear and digital platforms. Finally, it was last Thursday's "most-social" scripted series with 112,000 engagements across Twitter, Instagram, Facebook, and Tumblr. The show is a huge win for Freeform and Marvel. Marvel currently has shows spread across several networks including Netflix and ABC. "Cloak & Dagger" is described as "a coming-of-age series based on the beloved comic book characters. Tandy Bowen and Tyrone Johnson come from starkly different backgrounds, each growing up with a secret they never dared share with another soul." It's amazing to see a show featuring a superhero of color and a potential interracial relationship doing so well. What do you think of the show's ratings? Do you think it deserves the acclaim?